After a day in which supporters of an anti-pipeline protest in British Columbia forced the prime minister to change the location of a key meeting with Indigenous leaders, Justin Trudeau is out west for a series of town halls. 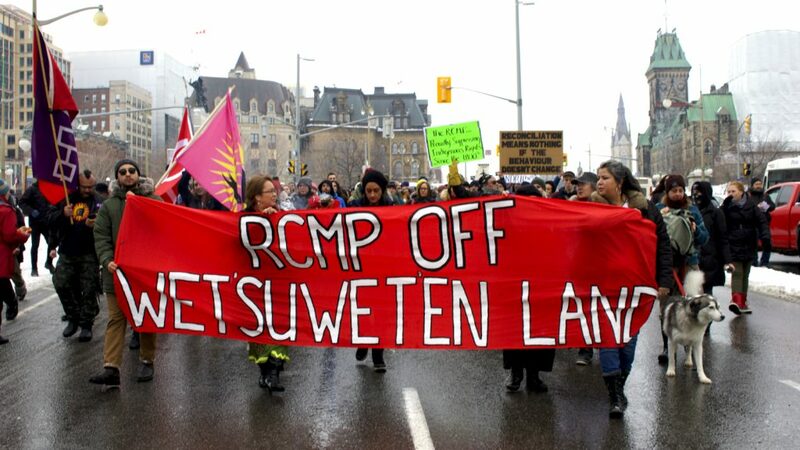 Wednesday morning, Trudeau told a local CBC radio program in Kamloops, B.C., that he wasn’t happy with the RCMP’s move on Tuesday to remove protestors and arrest 14 people. “It’s not an ideal situation,” said Trudeau. 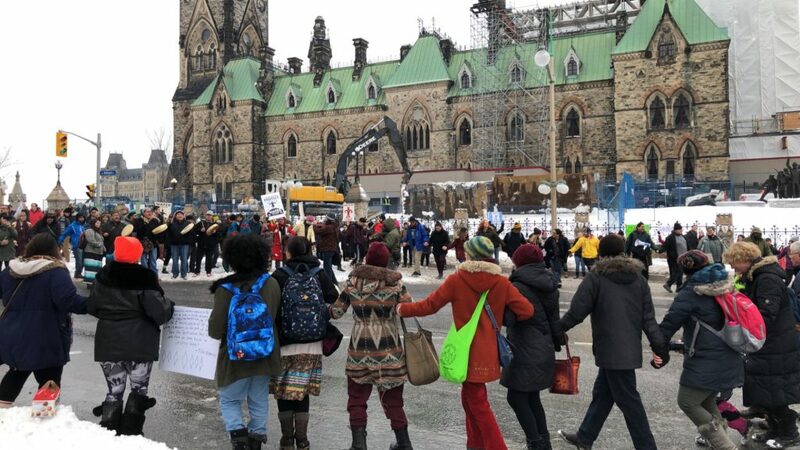 The RCMP action prompted the protesters gathered on Parliament Hill on Tuesday as part of a series of rallies held across the nation. The Ottawa protesters later broke through security at a Sussex Drive building where Prime Minister Justin Trudeau was set to speak to a gathering of Indigenous leaders. Members of the Wet’suwet’en First Nation in B.C. have been blockading access to their traditional territory to protest the $6.2-billion pipeline being built by Coastal GasLink, a subsidary of TransCanada corp. The pipeline would ship liquified natural gas from northeast B.C. to a coastal terminal at Kitimat and run through the Wet’suwet’en territory. The elected band council has approved of the construction of the pipeline, but the hereditary leaders of the Wet’suwet’en’s five clans oppose it. They say it could damage watershed and wildlife. On Monday, the RCMP broke down one barricade and arrested 14 people, enforcing a Dec. 14 court injunction allowing Coastal GasLink access to the land. Ashley Courchene, an Anishnaabe graduate student at Carleton University, addressed the crowd on the steps in front of the Centre Block on Parliament Hill saying he didn’t want to be there protesting again but that he has to be. The demonstrators formed a couple of dancing circles lead by drummers in protest of the pipeline. They later went to 111 Sussex Dr. where the prime minister was to speak at 2:30 p.m. at an annual forum with Indigenous leaders. The protesters broke into the building and the forum was moved to 180 Wellington St. where Trudeau finally spoke to the meeting at 4 p.m. The prime minister is expected to face more protests on this western swing.